The PC version of Batman: Arkham Knight does not run smoothly with all the players. Stuttering, crashes and other (performance) problems currently tarnish the game. Rocksteady and Warner Bros. are currently working on a patch and offer meanwhile assistance in configuring the graphics settings. Below you will find the minimum and recommended system requirements for Batman: Arkham Knight including suggestions on how its image resolution, texture quality and other parameters should be configured. Those responsible strongly advise from getting arbitrarily make changes to .ini files, as these can have unwanted side effects on performance. Those who are playing Batman: Arkham Knight on PC, should also stay away from the optimization tools from Nvidia (GeForce Experience) and AMD (Gaming Evolved). 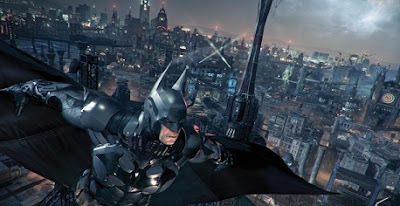 In the short term want Rocksteady and Warner Bros. improve performance when streaming game data when Batman: Arkham Knight is installed on a magnetic (regular) hard disk (HDD). In the original post, the development team is asking all PC gamers to install latest graphics drivers (Nvidia 353.30 and AMD Catalyst 15.6 Beta), since they can affect the performance positively. Crossfire is not supported on AMD cards currently, but will change with a future update. Do you use SLI cards from Nvidia, Rocksteady and Warner Bros. in the Control Panel recommend a graphics card set as a dedicated PhysX. Arkham Knight: This might improve the performance while playing the PC version of Batman. The makers of Batman: Arkham Knight strongly advise to make to the texture quality to "Low" if your graphics card has no more than 2 GB or 3 GB VRAM (AMD). Provide you the value to "normal", it can otherwise result in significant performance degradation. According to the manufacturer, it may come to textures and micro stuttering while running the Batmobile or the slide at users of AMD cards. In general, the developers advise to image resolution of 720p, should your PC meet only the minimum system requirements. On AMD cards textures and micro stuttering may occur while playing with the Batmobile or the slide. Owner appropriate GPUs should set texture resolution, shadow quality and level of detail set to "Low" if necessary.